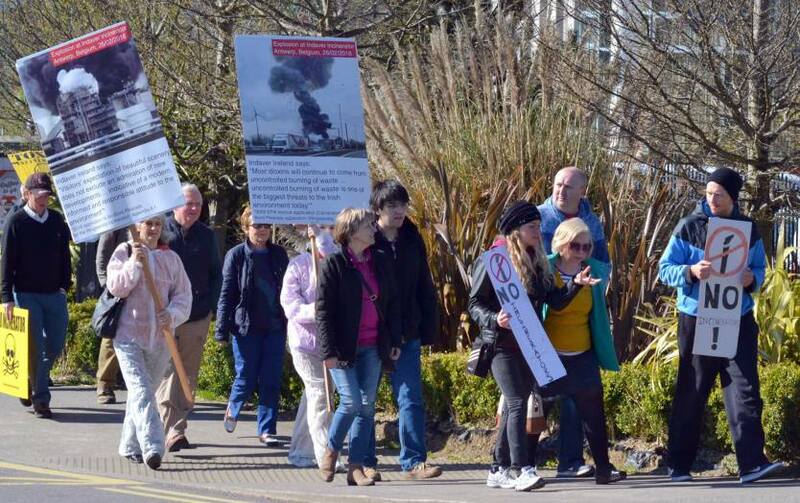 The Bord Pleanala Oral Hearing for Indavers 240,000 tonne incinerator application at Ringaskiddy is due to commence in Carrigaline Court on Tuesday next, 19 April at 10.30pm. Previous hearings lasted 3 weeks, and a similar time is expected to be allocated to this hearing. Those who have already made a submission to An Bord Pleanala can present at the Oral Hearing. RINGASKIDDY MEETING, Mon 18 April 8pm: A Public Meeting about Oral Hearing is being organised by Ringaskiddy & District Residents Association on Monday 18th April at 8PM at Ringaskiddy Community Centre. All Welcome – It’s important that as many people as possible attend. See facebook notice. We expect the Oral Hearing to cost between 50,000 – 60,000 Euro, based on the last Oral Hearing costs. The third Oral Hearing into the construction of a 240,000 tonne hazardous and non-hazardous waste incinerator at Ringaskiddy Co Cork started with an angry demonstration, and then opened to a packed hall at Carrigaline Court Hotel today, 19 April 2016. The hearing is being chaired by Senior Planning Inspector Derek Daly. At the opening of the hearing, CHASE Solicitor Joe Noonan outlined concern over the addition of substantial information into the process at this stage, which he stated should have been included in the original application, and warned that CHASE and others were entitled to adequate time to assess this information, that the structure of the hearing was such that that would NOT be facilitated, and requested that it be noted CHASE were continuing to engage with the hearing under protest. Questions over the dissemination of this additional information, caused uproar in the room, as it emerged that the website by which this additional information will be disseminated is owned and operated by Indaver. A roll call of those who have made submissions was taken, with 27 groups and many more individuals indicating they would be presenting in large numbers over the coming weeks. Representations were made on behalf of Minister Simon Coveney, Micheal Martin, TD and Micheal McGrath, TD confirming their intention to present at the hearing. Newly elected TD Donnchadh O’Laoighre was at the hearing, and confirmed his intention to speak, and Sean Sherlock TD made a presentation on the threat that would be posed to the SFI MaREI Centre at Ringaskiddy. CHASE Chairperson Mary O’Leary said “The opposition to this site is stronger than ever, this is clearly visible by the number of people who have turned out today, and by their palpable anger at having to again face this proposal in this completely unsuitable location. CHASE will have up to 9 experts, and several more speakers, expected to present towards the end of this week and into the coming week. An outline guide as to speaking order is expected to be provided by the Inspector tomorrow. Indaver proceeded to outline the project, and provide additional information for the afternoon. Day 2 of the Oral Hearing continued at Carrigaline Court today, 20 April 2016, with Indaver responding to concerns raised in submissions made to An Bord Pleanala. Speaking on behalf of Indaver Ireland on coastal erosion concerns, Arup engineer Ms Julie Ascoop gave evidence which confirms that the High Water Mark (HWM) is now inside the Indaver site boundary. Ms Ascoop’s evidence was supported with a map plotted by Arup showing how HWM has changed since the OS map of 2001, and now covers part of the site every day. This confirms CHASE statement in our observation letter to An Bord Pleanala that part of the site floods every day at high tide, and contradicts Arup witness Ken Leahy’s strong deinals yesterday of the fact that the site floods daily at high tide. Dr Martin Hogan, speaking on behalf of Indaver in relation to human health, confirmed that there would be no stand alone Health Impact Assessment carried out. Mr Hogan was responding to issues raised in CHASE submission by Epidemiologist, Anthony Staines, saying that a specific Human Impact Assessment is required. Anthony Staines will speak later in the hearing. The hearing will continue tomorrow with proscribed bodies due to speak first, followed by public representatives. On Day 3 of the Oral Hearing (21 April 2016) CHASE opening submission was presented. Opening the submission CHASE Solicitor Mr Joe Noonan said that “Cork Harbour is a special place” and asked the Board to respect Government policy for Cork Harbour which is set on a very definite and positive path, referring to the positive policy initiatives advancing the Harbour as a resource and location for sustainable development, recreation and a developing tourism infrastructure. 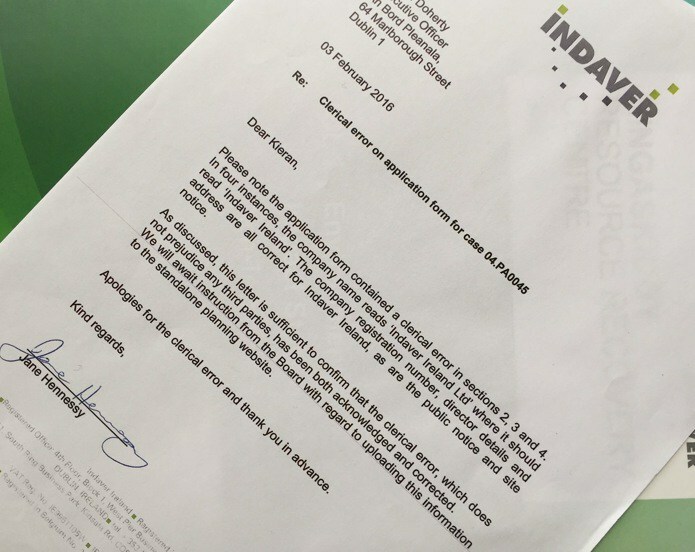 Immediately addressing issues relating to the identity of the applicant, namely that the planning application made in the name of “Indaver Ireland Ltd” differed from the applicants name in public notices in newspapers which quoted “Indaver Ireland’, Mr Noonan highlighted that the subsequently confirmed applicant “Indaver Ireland” is a business name, not a legal person and it cannot make a valid application under Section 37E. Indaver have attributed the discrepency to a ‘clerical error’. The Opening Statement highlighted the issue of health risk evidence, which was considered irrelevant at the 2003 hearing, and the 2008 hearing concluded that there was no objective risk to public health. Neither the EPA, HSE or HSA presented at this mornings prescribed bodies session and none of these bodies have indicated their intention to make any presentation. In contrast, substantial time was devoted during the morning session to discussing the monitoring of fish and liver testing of certain fish species in the nearby Natura site to ensure their protection, raised by Mr Jarvis Good, from the Department of Environment Birds and Wildlife Section. Taking time out from Government formation negotiations, a full house of Cork South Central TD’s were present at this mornings Oral Hearing, with Simon Coveney, TD, Minister for Defence speaking first, followed by Michael Martin TD, leader of Fianna Fail, then Donnchadh Ó Laoghaire, newly elected TD. Michael McGrath, TD FF, will speak at a later time and former TD Jerry Buttimer was also present lending his support. Minister Coveney said Indavers proposed development would “fundamentally compromise government policy in all these projects”. Referencing the first ever Integrated Marine Plan for Ireland “Harnessing Our Ocean Wealth”, an inter-departmental plan published by Government in 2012, shortly after the 2011 Bord Pleanala refusal of Indavers incinerator, Minister Coveney delivered a detailed history of the National Policies underpinning the three harbour masterplans totalling €100m in Government investment and expected to deliver in the region of 4,000 jobs. He said that the incinerator would undermine the capacity to deliver on these jobs and investment and that “the broader interests of the harbour should not be ignored”. Minister Coveney also re-iterated the Department of Defence statement on Friday which outlined that Haulbowline Naval base would be rendered inoperable under South Westerly wind conditions. Micheal Martin, TD, Fianna Fail leader, highlighted additionally that the residential community of Ringaskiddy has been engaged with industry since the late 1980’s and have demonstrated “resilience, strength and reasonableness”. He said that if this incinerator goes ahead “the capacity of the community to live and go about their daily lives will be affected”. Mr Martin stated how the provision of the incinerator would irreparably damage the ‘New Vista’ for the Harbour because it would fly in the face of the developments positioning Cork Harbour at the centre of education, tourism and research in the Maritime area. He said that there were “fundamental conflicts at the heart of the County Development Plan” and that there was no planning imperative for this incinerator in this location. Calling on Bord Pleanala to make the decision on Cork Harbour of the future, not on Cork Harbour of the past, newly elected Sinn Fein TD Donnchadh Ó Laoghaire said “There is absolute unanimity among public representatives about the damage this could do the area with 55 local councillors with all 4 TD’s and former TD’s standing against it. I reemphasise that it would be rather perverse to see that an Incinerator, with all the risks, hazards and potential implications for the local environment, would be located almost side by side with a world class research facility examining Wave Energy, with clean, 21st Century Energy being researched adjacent to an incinerator. It slants the planning process against local communities and railroads developments.” Additionally he criticised the Strategic Infrastructure process in removing the local authorities who have a particular local knowledge, and said it is particularly unfair that it can be used three times. Read Statement. Michael McGrath is due to speak at a later time. Presentations were also made this morning by Cobh Solicitor Frank Kelleher, PDForra, NMCI lecturer Jodi Power, and research staff from nearby MaREI marine energy research campus. Years of steady campaigning by CHASE has helped to bring about an intense interest in the environmental issue. Well done. Other areas of the country should emulate. Prof Staines contrasted the in depth evaluation that had been done on the Natura protected areas, where a detailed, systematic view of the effects related to compounds on animal species such as otters compared most unfairly to the evaluation of the effects on human health. He said that he would expect the same depth of evaluation be given to human health, and repeated that in relation to human health “there is no risk assessment”. Mr Bob McLaughlan of Cork Harbour Environmental Protection Association) CHEPA, presented to the Inspector a series of aerial photographs detailing the locations of Indavers other incinerators in Belgium, Germany and even Meath. Mr McLaughlan demonstrated their location surrounded by wasteland, cement kilns and often by extremely large industry that would “dwarf any of the pharmachem in Ringaskiddy.” He said that even though the Meath plant was 5km from Drogheda and 2km from Dundalk, each of the Indaver plants were “not in a village, not beside a college, not beside a Naval HQ” and were all in areas serviced by excellent rail and highways or even superhighways. Cllr Marcia D’Alton is currently speaking, and further submissions will continue tomorrow and into next week. "Your right to a healthy environment"
Cork Greens member Gordon Reid told today’s Oral Hearing (Day 9, 3 May 2016) that research cited by Indaver’s own health experts shows that premature death would be expected to cut thousands of years from the lives of people living near incinerators around the EU. Dr Reid, senior lecturer in physiology at UCC, said that while Indaver’s health experts, the consultancy EHA, claimed that “no adverse human health effects from the proposed facility are predicted”, one of the articles that they used to support this statement actually shows that, in a population of 2.2 millon (a little bigger than greater Dublin), living near an incinerator running for 20 years, 7,600 years would be lost from people’s lives owing to premature deaths from various causes. Dr Reid said that adjusting these figures to the communities around Cork Harbour, over the 60 year period that Indaver wants to run the Ringaskiddy incinerator, a preliminary analysis suggests that tens of years of life could be lost, possibly over 100. He said that Indaver’s health advisers quoted the part of the article that said, “Current impacts of incineration can be characterised as moderate compared to traffic or industrial emissions”, but did not include the part that referred to premature deaths. The research was conducted in 2011 by an international collaborative team from universities and health organisations in 5 countries, including the WHO, on modern incinerators in Italy, Slovakia, and England regulated by the EU pollution control directive. Several other speakers presented, including Rodney Daunt, an Instrumentation and Control Engineer, with 35 years experience in the oil & gas, pharmachem and other industries. Mr Daunt presented the hearing with photographic evidence of atmospheric accumulations over Cork Harbour. 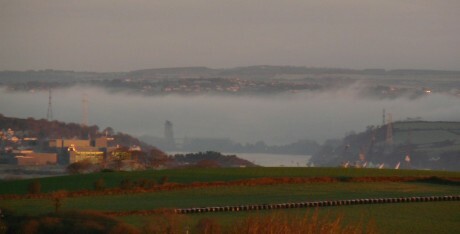 He said that “Under specific weather conditions, stack emissions will tend to drop to a lower level sooner than expected and will cause the airborne particles to settle locally”, and showed evidence of this in photographs showing the dispersal of stack emissions from a factory in Cork Harbour, taken in 2016. 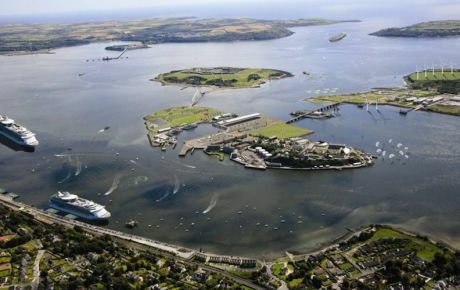 The hearing continues tomorrow, with Indaver scheduled to address the Department of Defence statement that they would need to implement a no-fly zone in the area around the stack, rendering Haulbowline Naval Base inoperable in southerly winds. Final submissions will take place today at the Carrigaline Court Hotel, on Day 11 (5 May) of the Oral Hearing into the proposed Ringaskiddy Incinerator. Inspector Derek Daly will then proceed next Monday to questions, and submission parties will be given the chance to cross-examine Indaver on any outstanding issues. The Department of Defence and PDForra are also expected to return next week, following three documents added in by Indaver at yesterdays hearing. The documents were prepared by consultants including UK based Wind Farm Aviation Consultants, led by former RAF Pilot Mike Hale and former British Ministry of Defence Military Air Traffic policy lead, Shane Savage. 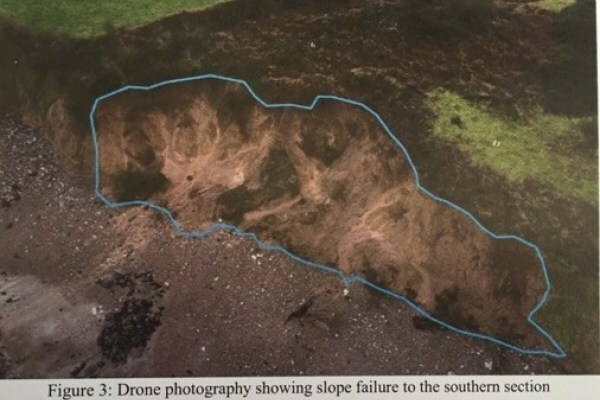 Responding to concerns raised by Department of Defence after consultation with the Irish Naval Service and Air Corps stating that they would need to apply a no-fly zone around the plume which would render the Naval Base inoperable in Southerly winds, Indaver claimed the risk was minimal. Fred Bradley, principal officer in the Department of Defence, said it was “unfortunate, to say the least” that they had not been given the documents at an earlier stage, requested time to consider them and is expected to return to the hearing next week. Planning issues are first up on Monday, and cross examination will be grouped by topic so that all experts can be present at the one time in order to address questions arising. Will Indaver a private developer really dictate health and safety to our Dept. of Defence. The fires in Alberta had one way in one way out so does this cul de sac at Gobby Beach,so did Whiddy. At todays Oral Hearing, (10 May, Day 13) a collective gasp was heard from the audience as Indaver Ireland admitted that they are not equipped to firefight for more than 2 hours, with emergency firewater tanks onsite holding just 2,200m3 of water and a fire which is not quenched in 2 hours is considered a ‘worst case scenario’. Speaking for Indaver Ireland, Conor Jones, Meath Plant Manager, confirmed the onsite firefighting capacity, despite the fact that details of a fire burning for six days and requiring local area evacuation are outlined in Indavers HAZID (Hazard Identification) report and the reality that the recent explosion at the Indaver Antwerp plant was attended to by 60 firefighters and took almost 4 hours to get under control. CHASE Solicitor Joe Noonan raised the clause in the HAZID report which disclaims responsibility by Byrne Ó Cléirigh and the additional statement that it was ‘confidential to the client’, who should rely on it ‘at their own risk’. Mr Noonan asked if the participation in the hearing by Byrne Ó Cléirigh meant that they now set aside that disclaimer. Mr Rory Mulcahy, Senior Council for Indaver excused the disclaimer as ‘standard practice’. Questions will continue tomorrow with Department of Defence expected to return, and air emissions and health impact on humans scheduled for discussion. At this stage the hearing looks likely to continue into next week. 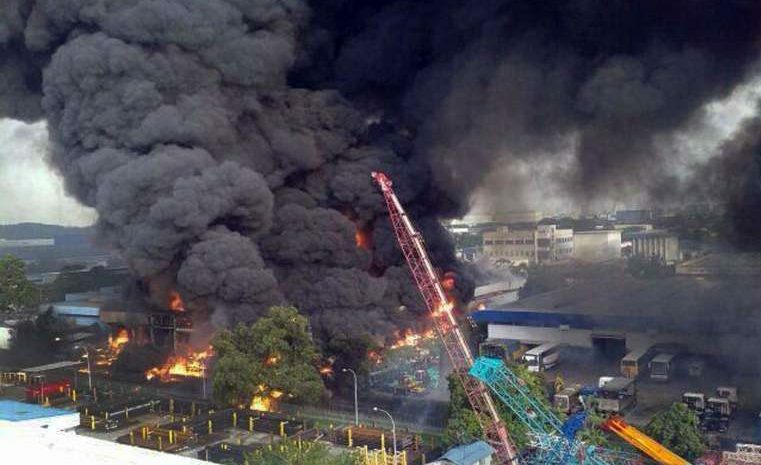 The fire in Feb in Antwerp was a municipal disaster "worst case scenarios" it was only brought under control after 4 hours and involved numerous fire brigade trucks. The Site in Ringaskiddy is at end of cul de sac one way in one way out . Does any one remember Whiddy? Since their first application a strategic employment area has been developed within 25 meters of this proposed hazardous facility. in all over 1,500 people are involved in study and research And their health and safety would be at risk. This is a new application and needs a new licence and demonstrates how private developers can use the Strategic Infrastructure Act to fast track a high risk facility with long term health effects and sentence a whole community for 30/60 years while other communities can have the benefit of moving towards zero waste or cleaner technology. Their is no need in this area for this facility, as the chemical companies have little waste having moved to biotechnology and are self sufficient in their waste with state of the art in house incineration and self sufficient in their energy . Stalking the communities in Cork Harbour for 16 years with a threat to their families for the next 30 years has led to the non acceptance now or in the future of a hazardous incinerator and has raised their awareness of the better ways of dealing with our waste that does not involve burning. Fred Bradley, Principal Officer Department of Defence and Commdt David Browne, Irish Air Corps, returned to the Oral Hearing this morning, 11 May (Day 14) to reiterate beyond any doubt the construction of the proposed incinerator in such close proximity to Haulbowline Naval Base would “create a flight safety hazard to Irish Air Corps helicopter operations” and stated that risk control measures would need to be implemented which would “impact on the Irish Air Corps’ ability to operate helicopters into Haulbowline” concluding that “restrictions on the Irish Air Corps’ ability to operate with the Naval Service at Haulbowline is not just a local issue but carries strategic implications for the State” and coming to the conclusion that “Therefore it is the opinion of the Department of Defence that the avoidance zone of 1,000 ft as originally submitted is very necessary”. Referring to reports commissioned by Indaver Ireland in response to Department of Defence concerns raised earlier in the hearing, Comdt David Browne criticised the use of Civil Aviation standards by Indaver consultants and said “The Irish Air Corp is a military aviation organisation” and referencing the report prepared by UK Based Wind Farm Consultants, he stated “It is surprising that a Consultant company, considering the previous military experience of the authors of the report, would fail to realise that such civil requirements do not apply to the Irish Air Corps, just as the UK Civil Aviation Authority requirements do not apply to the Royal Navy or RAF aircraft (the two services from which the authors came”. Commdt David Browne outlined that “as well as cargo-slinging, the Irish Air Corps also operates with the Naval Service and Army at Haulbowline in tasks ranging from marine counter-terrorism (Haulbowline is used as the staging base for counter-terrorism training and operations for the Kindle Gas Fields and commercial shipping into Cork Harbour), air-sea rescue winching, sea-going tests and evaluations of Naval Service vessels for simulated air attack, helicopter training of Naval Service personnel, and so on”. He gave a detailed outline of the approach direction and low flight altitude required of a helicopter arriving in the general vicinity of the intended landing site, (the Main Square at Haulbowline), and highlighted how the final approach is always performed into the wind concluding “therefore helicopters make approaches in a SSW direction to Haulbowline most of the time, with the plume from the proposed Indaver facility blowing towards Haulbowline, i.e. into the path of a landing/taking off aircraft”. PDForra representatives Mark Keane and Ray McKenna also spoke on behalf of their 800 members located at Haulbowline Naval base, saying they wanted to re-iterate the Department of Defence position with regard to the “incorrect claim that by Indaver that there was no scenario which would require the evacuation of Haulbowline”, when the HAZID report outlined a scenario where a fire that burned for 6 days would require Local Area Evacuation. Mr McKenna, PFForra National Health & Safety Officer asked “how could anyone working on behalf of Indaver ignore or forget about this?”. Indaver Solicitor Rory Mulcahy, following a break for consideration, offered that Indaver were willing to “seek to agree a protocol whereby the facility would be shut down were it required for essential [Air Corp] operations”. The hearing will continue this afternoon and into the week with Emissions and effects on Human Health next on the agenda. 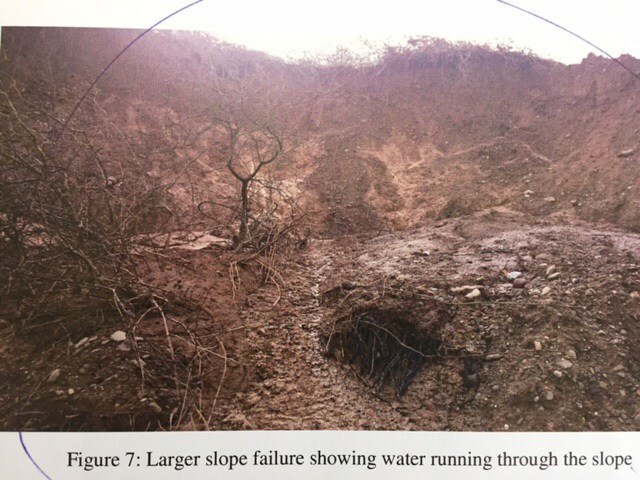 Serious irregularities in dioxin figures in Indaver’s planning application have been exposed on the final day (May 17 2016) of the 17 day hearing into Indaver’s third application to build a 240,000 tonne incinerator at Ringaskiddy, Co Cork, which according to the hearing Inspector Derek Daly bring “the veracity of documentation into question”. Dioxin tables which purport to be modelled using 2015 soil samples from the vicinity of the proposed incinerator site, are instead a carbon copy of the dioxin tables submitted with Indavers 2008 Ringaskiddy Application and relate to values from the soil samples taken for that application. Alarmingly, they are also the same dioxin tables submitted to An Bord Pleanala as part of a 2008 application by College Proteins Ltd to build an incinerator in Nobber, Co Meath. Questions on dioxin modelling were being posed by Dr Gordon Reid, Senior Lecturer Physiology at UCC and answered by Dr Fergal Callaghan, AWN Consulting who prepared the Soil and Sediment Report submitted by Indaver. Following a break to consider the new information Senior Inspector Derek Daly returned after “giving careful consideration to matters raised”, and said that he deemed it more appropriate to see the hearing out “rather than to adjourn at this time” and would report to the Board giving an account of matters and a recommendation. He stated that the Board could, if they wished, request further information at that stage. The last application was refused in 2011 following a 20 day hearing in 2009. An Bord Pleanala aims to deliver a ruling by 12 July 2016. On air John Ahern of Indaver Ireland justified his planning application for a hazardous incinerator on the grounds of the importance of waste management even challenging the Dept of Defense 's ability to operate. He totally ignored national waste management which is governed by the need. With Poolbeg coming on stream and cement kilns and Meath,s facility all demanding waste we will have an overcapacity of burn facilities. Remember Dublin must feed 600,000 tons over 45 years, so say goodbye to zero waste and watch recycling being manipulated to feed incineration. Other countries are moving towards zero waste and recognise incineration is the lazy way to manage waste, it is old technology. Should a vested interest direct our sustainable waste management and should their private interest direct our strategic national defence?